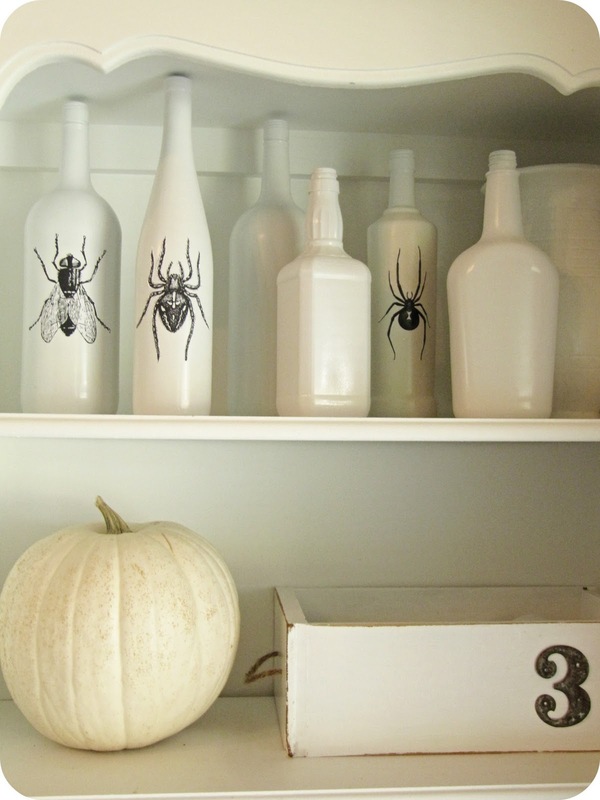 I know, I know, I said I was done blogging about my Halloween Decorating, but then I realized I haven't shared my BUG BOTTLES with you yet. 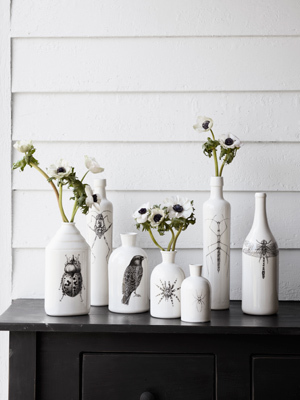 These earthy ceramics were done by artist Laura Zindel. I found them in my Country Living magazine. You can see more here. 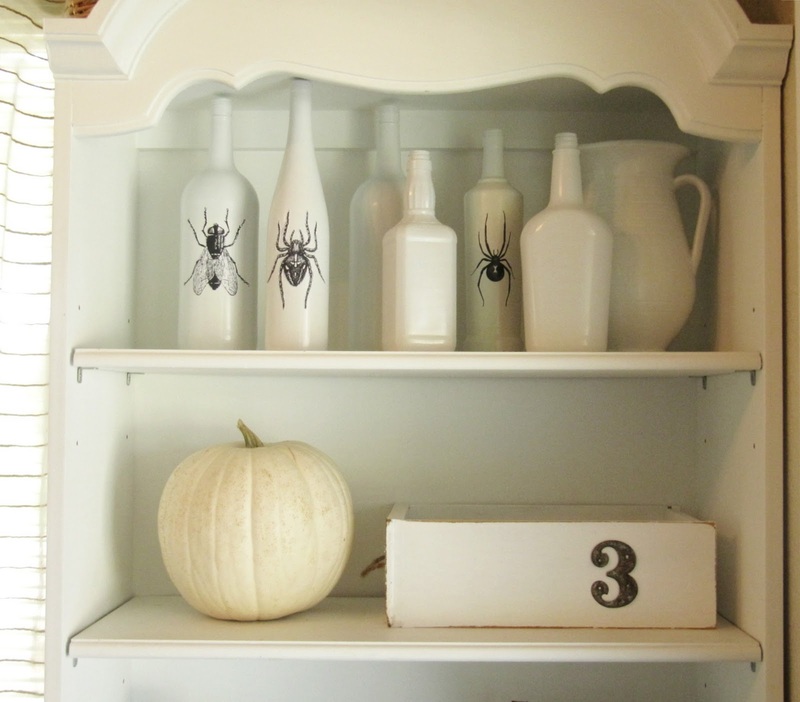 So No, I did not paint mine.... Well I take that back, I did paint a bunch of bottles with white spray paint. 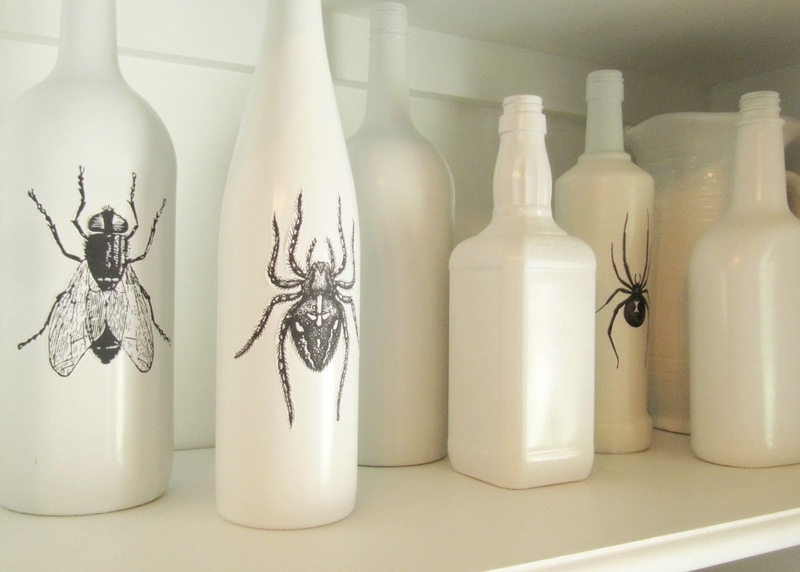 But then I printed out the bugs onto a sticker paper, and then just stuck them onto the bottles. I really wanted to create these to be more permanent but I run into a few problems along the way. 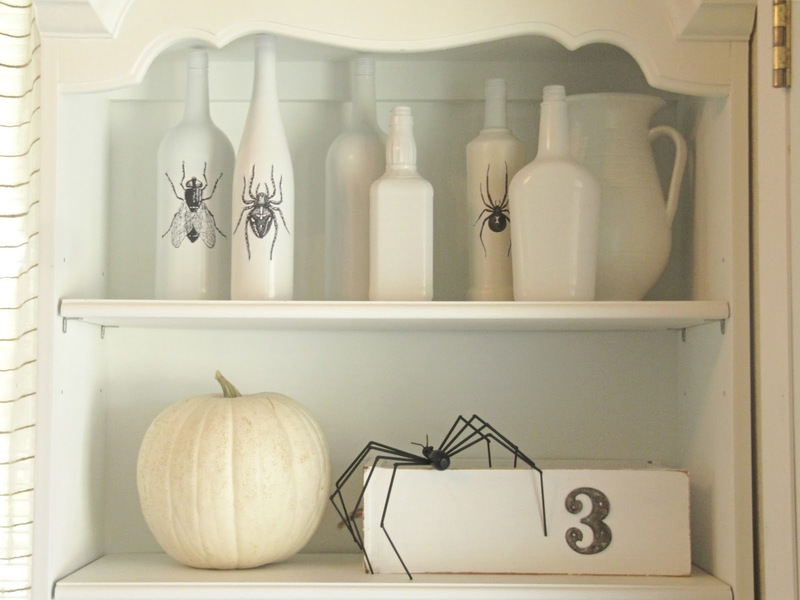 First, I tried to Mod Podge print outs of bugs onto the bottles, but the Mod Podge just smeared the ink and turned them green. Second, I tried spraying a layer of polycrylic protective finish on it. That worked except for it turned the bottles a yellowy color, which you can kind of see on the spider bottle to the right. So I'm still playing around with this idea, trying to see what will work. I think once I get it figured out the possibilities of upcoming project like this will be endless. By the Way, Any suggestions? Alright, Now I'm done blogging about Halloween......I think. I'm sure I'll have to share my boy's cute costumes with ya though. Hope you are all ready for Halloween. Have a Happy One! 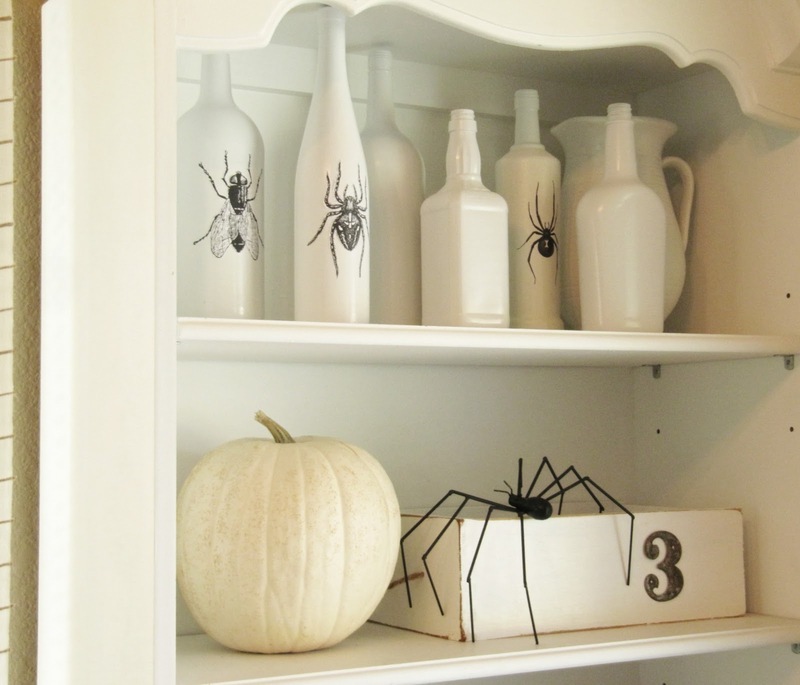 I lovet this idea - yours look great - just as good as the originals. All pictures of little ones in Hallowe'en costume are welcome!! ADORABLE! I love them so much. What a great idea. These are freaking awesome! You need to sell these.